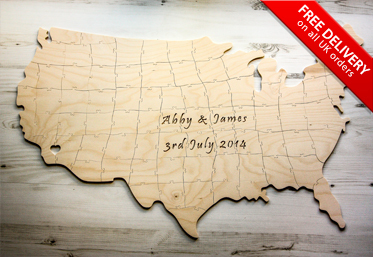 Our custom USA Guestbook Puzzle is special: it allows you to celebrate not only the day of your event and the people who witness it, but also the place where it happens! 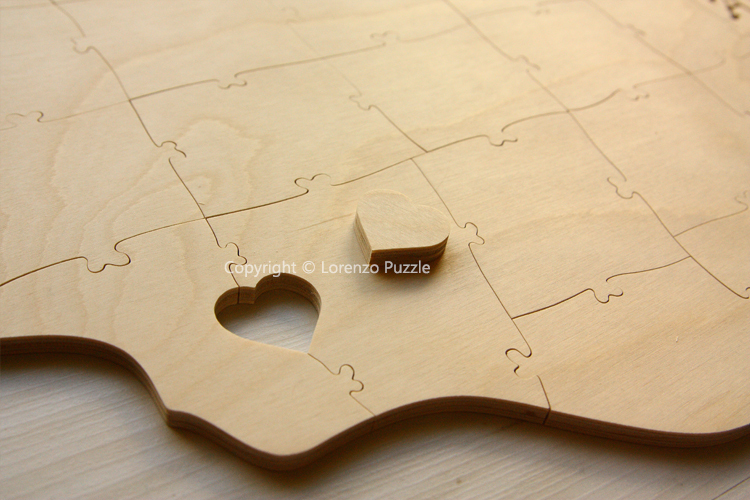 Hand-cut from ¼” birch wood, this high quality puzzle is a fine piece of art but also a geographically accurate map. 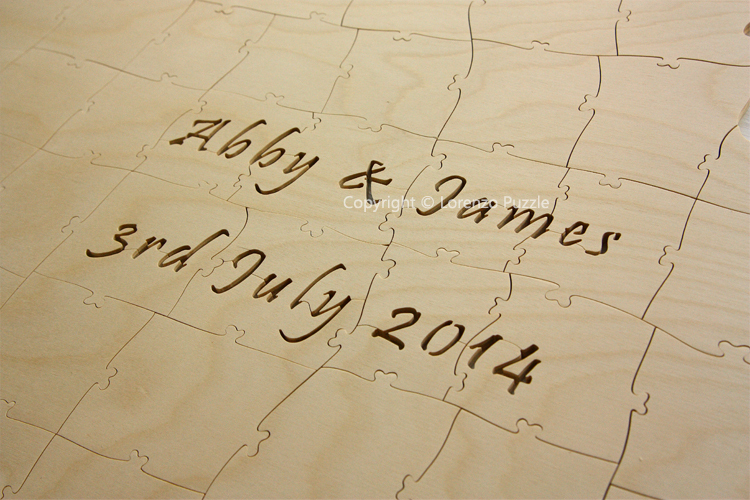 A map guest book puzzle will delight and surprise your guests, and they’ll be honored to add their names and messages to the front of each piece. 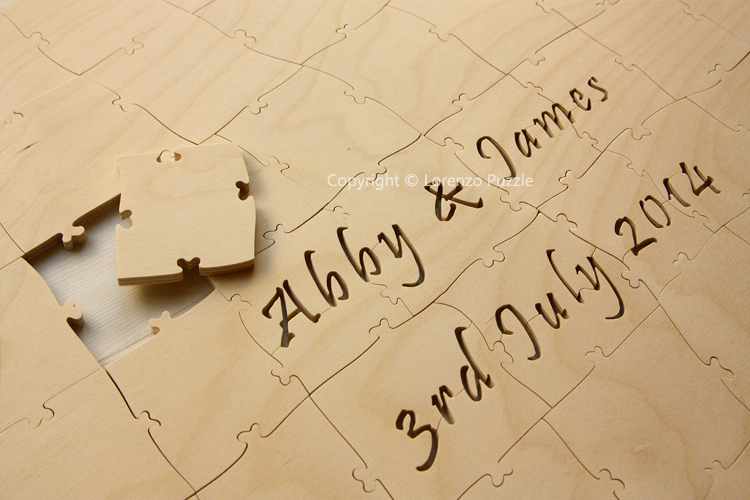 Plus, not only does this wedding guestbook feature the signatures of your guests and your names and the date carved in the wood, but it also includes an optional whimsy heart piece that can be placed wherever you’d like. How about the place where you met, or the location of your wedding? 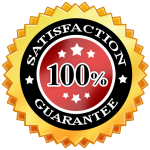 This puzzle can also be ordered for housewarming gifts and birthdays, or any occasion where you want to celebrate that special place.